View looking west at the eastern exterior of the Mevlana Complex. 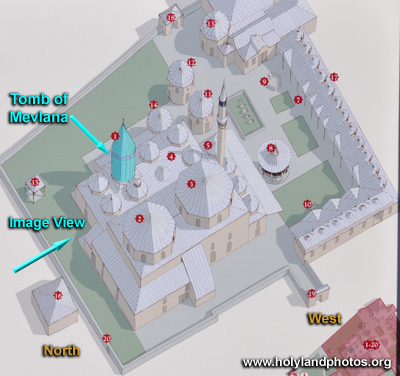 The green tile dome is over the tomb of Mevlana. The other domes, below and to the right of the green tile dome, are domes over other portions of the Mevlana Complex.